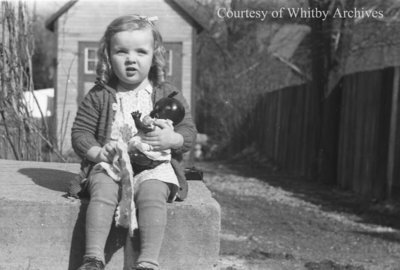 A black and white negative of Helen Maguire, age 2, sitting outside on cement stairs. In this view she is holding her doll and looking towards the photographer. Helen Maguire, March 22, 1938, Marjorie Ruddy. Whitby Archives A2013_040_655B.